Did you guys have a great Father’s Day yesterday? I personally think that great dads should be celebrated ALL year long! 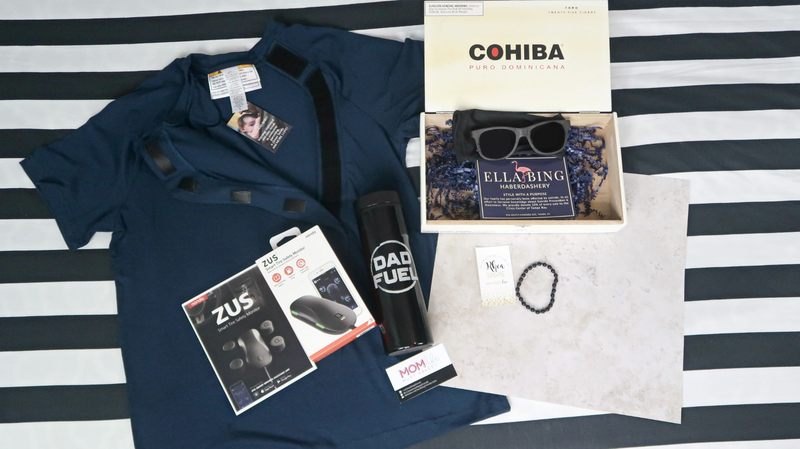 In celebration of all of the great dads out there, I’m excited to announce that I’m hosting an EPIC DAD WEEK GIVEAWAY! In collaboration with several shops, I have put together a really cool prize package worth $320! In the video below, you can learn about everything in the prize pack. One lucky dad will win EVERYTHING in the video! Are you excited? Awesome! Share this post with all the great dads you know because this is a great giveaway! It seems that every holiday brings a cold and Father’s Day was no different so please excuse how tired I look in the video. I’m fighting a cold. Again. Let’s talk a little bit about each of the shops participating in this giveaway so you can get to know them. Be sure to check them out and give them some love for being awesome! I’ve hand selected everyone because I truly think they are amazing! You can tour the shop in my video above! Thank you to all the shops above for collaborating with me on this Epic Dad Week Giveaway! Let’s get into the rules so you can enter! Alright, so let’s get into the rules. This giveaway is open to US residents only. APO/FPO is allowed- thank you to our military members serving overseas! You must be 18 or older to enter. This giveaway will be open for a week and once it closes, I will select a winner at random via Rafflecopter below! I will verify that each entry is eligible so please be sure to provide accurate information. As far as personal information: I do not sell or distribute my list in any way. I respect your private. However, this is a collaboration with several shops so the winner’s name, email address, and shipping address will be sent to each shop in order to fulfill your prize. Gift cards will be issued electronically via email. Other items will be mailed to you within 2 weeks of the contest end. This contest is in celebration of my new YouTube channel so you must subscribe in order to enter. You will have several additional opportunities to enter by following my and any of the brands participating in the giveaway on social media. That’s it! No purchase necessary. Void where prohibited. This giveaway is in no way affiliated with Facebook, Instagram, or YouTube. Fake accounts and sweepstakes accounts will be disqualified. Tell me about a special dad in YOUR life in the comments below!